Iran, Sept. 7, 2018 - On the anniversary of the founding of the People’s Mojahedin Organization of Iran (PMOI/MEK), the principal Iranian opposition group, resistance units across Iran paid homage to the founders of the MEK and its leaders and reiterated their pledge to continue the struggle for freedom and democracy. Members of Resistance Unit 219 in Tehran put up a placard containing the images of Iranian Resistance leader Massoud Rajavi, the PMOI/MEK symbol and a message congratulating this organization on its founding anniversary. Members of another resistance unit in Tehran put up posters of PMOI/MEK founder Mohammad Hanifnejad, Massoud Rajavi, Iranian opposition President Maryam Rajavi and the PMOI/MEK symbol. Members of Resistance Unit 220 in Tehran put posters of Massoud Rajavi and PMOI/MEK symbols at a pedestrian bridge. Members of yet another resistance unit in Tehran put posters of Massoud Rajavi in various areas to celebrate the PMOI/MEK’s 53rd founding anniversary. Members of a resistance unit in Kermanshah, western Iran, put up posters of Massoud Rajavi and the PMOI/MEK symbol. In Rasht, northern Iran, members of Resistance Unit 209 put up a placard marking this anniversary and announcing their readiness to put in more effort to overthrow the mullahs’ regime. In the Shahriar district of Karaj, resistance unit members put up posters of Mohammad Hanifnejad and the PMOI/MEK symbol. Resistance Unit 166 members in Yazd, central Iran, put up a poster marking this anniversary. The posters contained images of Massoud Rajavi and the PMOI/MEK symbol. Resistance Unit 313 members in Tehran put up a placard of the PMOI/MEK symbol commemorating this anniversary. Members of Resistance Unit 120 in Tehran put up images of the PMOI/MEK symbol. In Isfahan, resistance units put posters of the PMOI/MEK symbol and sent messages of congratulations on this anniversary. Resistance unit members in Brujen also put posters of the PMOI/MEK symbol. In Tehran, members of Resistance Unit 640 put up a placard marking the 53rd PMOI/MEK founding anniversary. In Mashhad, members of a resistance unit visited the sacred Imam Reza shrine on this day and sent messages of congratulations to the PMOI/MEK. Other resistance unit members in Tehran were also active at night, putting up various statements across the city. In many other cities of Iran, resistance units held similar ceremonies. What makes these significant is the danger that these resistance units are taking to express their support for the MEK. Since 1981, the Iranian regime has banned the MEK and has conducted a brutal crackdown on its members and supporters. In 1988 alone, the Iranian regime executed more than 30,000 members and supporters of the MEK. But it did not manage to destroy the organization. The regime continues to severely punish anyone who is found to have ties to the MEK.  In recent years, the regime has executed several supporters of the MEK for having financially supported the organization or having met with their relatives who are members of the MEK. But the regime’s efforts have not intimidated the Iranian people. The ideals and values of the MEK have continued to gain support among the Iranian people, especially the youth and the women, who dream of living in a free and democratic country.